August always means that I get to wear handmade clothes for pretty much the whole month, as no school means no uniform! It was hard to choose just one favourite thing that I wore, but I've wanted to talk about my Rosa shirt for a while and this is the perfect excuse! So the me made of the month for August is my Tilly and the Buttons Rosa shirt. 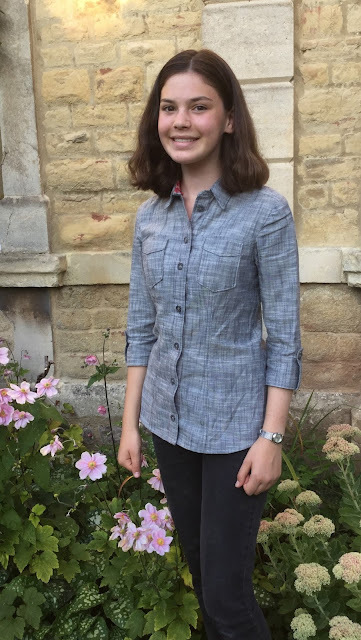 It might seem strange to pick a shirt for August rather than a summer top, but the weather has definitely not been the greatest where I've been! I think we got all our sunshine at the end of June. This is one of my absolute favourite makes, partly because it was the the make for me that made me realise that I could sew anything. My favourite part of this shirt is the contrast facing, which I made in a Liberty print. I love how the bright pink is secretly there, I'm a huge fan of secret details! 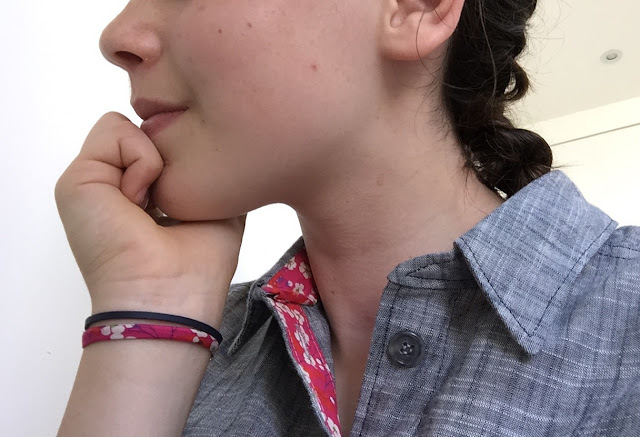 This photo also make me happy, as being able to make matching bracelets to wear with handmade clothes pretty much sums up why I make things! The gorgeous chambray fabric is from the Village Haberdashery, I received it as a birthday present along with the pattern and online course last year. The Rosa shirt is probably one of my favourite patterns. Since making this shirt in October last year, I've also made the shirtdress, and I'm planning another one at the moment. I love all the details from the princess seams to the topstitching. It's a great learning curve, especially making the collar and the button holes. My Rosa shirt is definitely one of the most special garments that I've made, and I really love wearing it. What a lovely job you have done. You are going to love wearing this classic shirt for years. 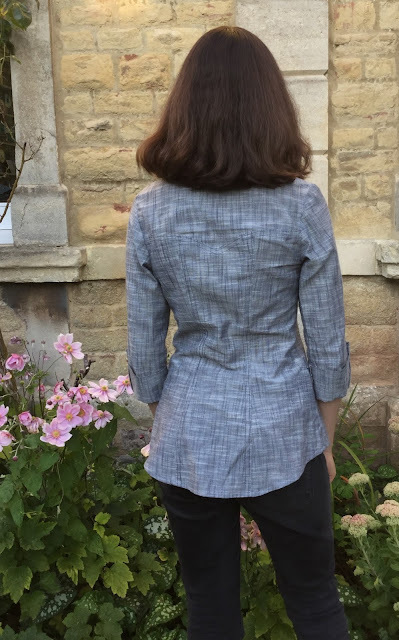 I love the secret detail too, that flash of colour really lifts the chambray :) The fit and style of this shirt is wonderful and I think your topstitching looks great!